The library will be closed on Monday, February 18 in observance of Presidents Day. Federal tax forms and instructions are available now at the library. State tax forms can also be printed by request at the front desk. The library will allow patrons to print up to 2 copies of any filing forms or schedules for free. The library will be closed on Monday, January 21 in observance of Martin Luther King, Jr. Day. 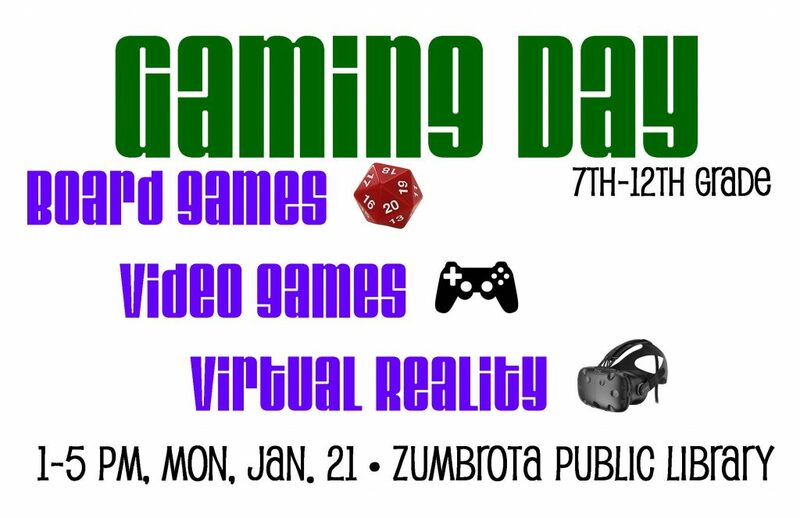 Gaming Day for 7th-12th graders will take place in the library on Jan. 21 from 1-5 pm.